Does your PlayStation 3 refuse to play any discs? Well, you might want to take a look under its casing. 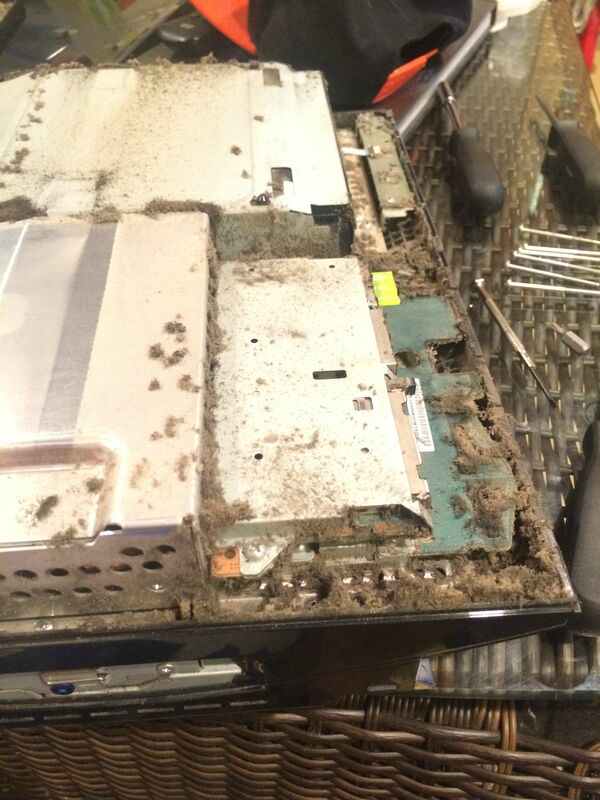 Imgur user “blowmeawayyouniverse” noticed that their console sounded like a “jet engine”, so they did just that, and discovered an insane amount of dust. While there may be computer systems far filthier than this one, a game console that still turns on while looking like, is definitely a miracle. Continue reading for more pictures. You’ve probably heard of the Sony contests in which the company gives away a custom PS3 console, but here’s one thing you may not have known: they’re made by an artist named Javier Riquelm. They come in several varieties, including Metal Gear Rising, Borderlands, and more. Continue reading to see them all. Similar to its predecessor, LittleBigPlanet 2 allows its users to create custom levels and upload for all to see as well as play. Yes, the level you see above was inspired by The Legend of Zelda. We’ve rounded up ten of the coolest to help get you inspired. Continue reading to see them all. Kotaku reports that Modern Warfare 3 “opens moments after the cliffhanger ending of Modern Warfare 2 with the U.S. struggling to stave off a surprise Russian attack.” The single-player campaign will have players traveling around the world as a “Russian Federal Protective Services agent, SAS Operative, tank gunner, and AC-130 gunner.” Click here for the first picture in gallery. Reports of the multiplayer mention 20 maps (although it’s unclear how many of these are planned as DLC) and several different game modes. The US Air Force’s Condor Project is a supercomputer unlike any other, in that it consists of 1,716 networked PlayStation 3 consoles. It “was created for the Air Force for its image processing tasks; it’s considered one of the top forty fastest computers in the world, despite its video game brains.” Click here for more pictures. The Condor is supposed to help process all of the Air Force’s recent aerial photos. Snapping up the photos via satellites isn’t a problem. It’s finding something useful in them. Developer Naughty Dog’s Evan Wells and Christophe Balestra stopped by Late Night with Jimmy Fallon to give fans a first look at Uncharted 3 gameplay. This game is set for release on November 1, 2011. Video after the break. Click here for more screenshots. Uncharted 3’s release next year adds to Sony’s impressive list of first-party titles coming in 2011, which now includes Resistance 3, Killzone 3, LittleBigPlanet 2, Twisted Metal, and InFamous 2.